“The Cathedral isn’t a playground!” That is the message from Fr. 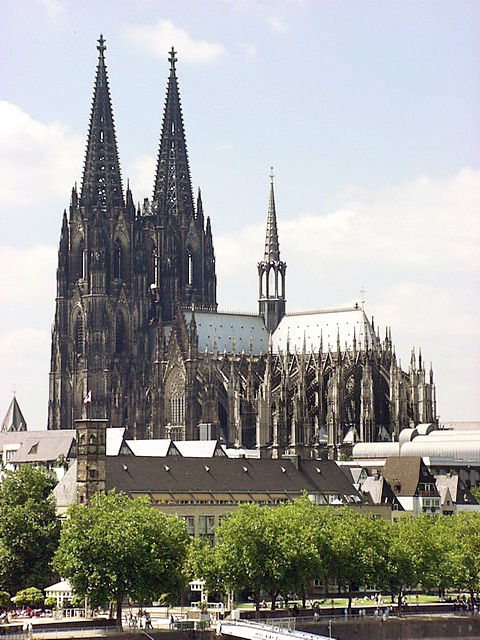 Robert Kleine, vice-provost of Germany’s beautiful Cologne Cathedral. The problem is that designers of the latest reality craze, Pokemon Go, included the cathedral among the destinations where players of the augmented reality game can find virtual monsters. Players have been traipsing through, interrupting prayer and disturbing the respectful calm of the ancient cathedral. Now the cathedral, after making several requests of the Pokemon Company to remove their worship space from the Pokestops at which players can find characters, has hired an attorney to force cooperation. 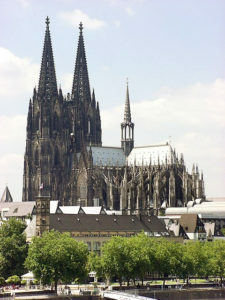 Cologne Cathedral, you may remember, is one of the world’s most beautiful buildings, with a rich history. It was originally constructed in the 12th century to house the relics of the Magi which Emperor Frederick Barbarossa of the Holy Roman Empire had taken from the Basilica of Sant’Eustorgio in Milan, Italy. Stained glass in the gothic cathedral’s south transept window had been broken during World War II, and had been replaced with plain glass. In 2007, a new, 1,220-square-foot window was installed–the design of acclaimed glass artist Gerhard Richter. The basilica has been named a World Heritage Site. Cologne Cathedral isn’t the only site at which Pokemon Go players are unwelcome. There have been complaints worldwide about players causing auto accidents, invading private buildings, and disturbing the peace.